Paula hasn't connected with her friends on Goodreads, yet. She has articles and stories in many journals, including Yale Review, Boulevard, Iowa Review, Raritan, The American Scholar, and The Hudson Review. 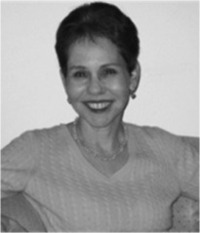 She is the Co-Editor of the Jou Paula Marantz Cohen, Distinguished Professor of English, received her BA in English and French from Yale University and her Ph.D. in English from Columbia University. She is the author of seven books and numerous essays on literature, film, and culture. ― Paula Marantz Cohen from "Jane Austen in Scarsdale"
Mystery/thriller came out on top as the genre for November. Vote in the poll to help choose which book we read for our discussion beginning November 8. Last day to vote will be October 23.